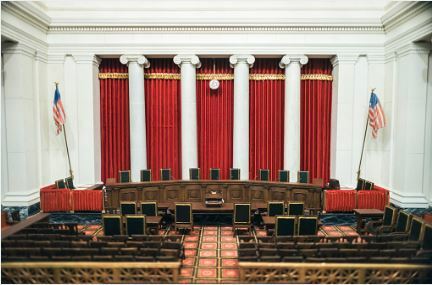 On Friday, June 16th, the Department of Justice (DOJ) announced that it will be switching sides in the Supreme Court case of NLRB v. Murphy Oil. The case spotlights the issue of whether arbitration agreements with individual employees that ban employees from pursuing employment claims on a class or collective basis violate the National Labor Relations Act (NLRA). The Obama administration’s DOJ took the position, siding with the National Labor Relations Board (NLRB), that employment agreements requiring workers to waive their rights to bring class action claims were invalid. The waivers compel workers to individually arbitrate claims with employers rather than bring collective lawsuits with co-workers. The Trump administration decided to ditch the NLRB and positioned on the opposite side of the table. The DOJ wrote an amicus brief in support of the NLRB, stating that arbitration agreements violated the NLRA. But after the Trump administration came into office, the DOJ re-filed a brief stating “after the change in administration, the office reconsidered the issue and has reached the opposite conclusion.” If this sounds strange to you, it’s because it is. Acting U.S. Solicitor General Jeffrey Wall said the Supreme Court should find for Murphy Oil. He said that workers that waive the right to collectively litigate can’t “escape the consequences of that choice.” The argument for companies is that waivers allow for a speedy and cost effective resolution to disputes. A class action is difficult to fight and leads to larger damages. Employees, on the other hand, argue that pursuing cases individually puts too high of a cost on a single employee. Also, the high damages rewards of class actions may bring in more interest to lawyers who would otherwise be deterred from taking the cases. The Supreme Court will decide the case in 2018 but there is significant impact potential here. Thousands of employers who thought they had binding agreements to prevent class actions may be affected by this decision. We’ll make sure to keep you updated on any recent developments.